Looking for a way to add a little sparkle and shine to your holiday season? Dior Vernis Nail Enamel in Timeless Gold sure will do the trick. This sparkling stunner is the most gorgeous shade of liquid gold and is absolutely packed with shimmer. And unlike many other metallic polishes, it doesn't streak at all. On the contrary, it glides effortlessly onto the nail. Two coats are utter perfection. 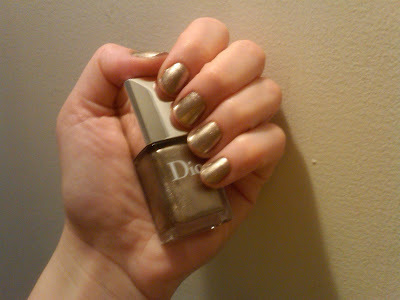 Dior Vernis Nail Enamel in Timeless Gold retails for $21 at nordstrom.com.